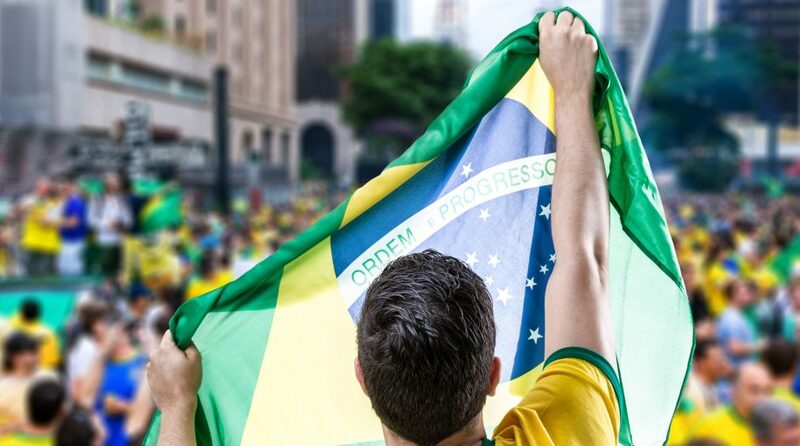 The iShares MSCI Brazil Capped ETF (NYSEArca: EWZ), the largest exchange traded fund tracking Brazilian equities, entered Monday with a year-to-date gain of 12.6%. Although that is off the recent highs set by the fund, some market observers believe Brazil could be a leading emerging market before 2018 is over. To start 2018, EWZ is outpacing the MSCI Emerging Markets Index by a 2-to-1 margin. Last year, EWZ trailed the widely followed emerging markets benchmark. Surging commodities prices, thanks to a weak dollar, are among the catalysts boosting Brazilian equities early in 2018. Brazil is undergoing massive reforms, including a 20-year constitutional spending cap tied to inflation, which has helped bring the economy out of a deep recession and strengthened investment confidence. The country now is working on passing pension reforms. Meanwhile, the Brazilian market is enjoying an acceleration in earnings growth. “With the recovery in commodity prices, exiting of the recession in Q1 2017, and the easing political tensions with the former impeached president’s corruption charges being upheld in an appeals court in early January the Brazillian Real has surged by nearly 50%,” according to a Seeking Alpha analysis of EWZ and Brazil’s economy. Brazil, Latin America’s largest economy, is a major producer of an array of commodities, including iron ore, oil and sugar, meaning a weak dollar benefits Brazilian commodities producers. That much is evident as the real has surged against the greenback since early 2017. Additionally, Brazil’s central bank actively reduced borrowing costs last year and is expected to continue doing so in 2018. Plus, Brazilian stocks appear cheap relative to global benchmarks.